Your motivation can be absolutely enormous, and with the kind of tailwind the heavens are creating for you, there is so much to go for. Also with Mercury moving into Capricorn and combining with Saturn, you're likely to find people in positions of influence will take seriously what you have to say. Someone you encounter could be particularly receptive to your ideas, just don't try too hard. As Venus combines with Mars and Jupiter, you are going to be giving out a fantastic vibration which can bring good things back to you. However, the Quarter Moon early this week, suggests you shouldn't be too much of a people- pleaser. Although you can be very conscientious, your personal freedom and desire to grow your world is absolutely critical at this time. Is someone a little bit jealous of you Gemini, or is it you who may be experiencing a little bit of the green eyed monster? Either scenario is possible, but this week does give you the opportunity to grapple with the reality of situations. So, even if something isn't quite as you want, if you take the time to drill down into the detail and embrace them, there is so much that you'll discover and learn. Your personality-power is turned to absolutely maximum this week, and rarely has there been a time when you can come across in such a compelling and striking manner. Astrology essentially is all about timing. If we make the wrong move at the wrong moments, things don't necessarily work out for us. But this is your chance to wow people, and also improve harmony in the process. There are only so many hours in the week Leo, and the trick this week is going to be in being selective about what you're going to choose to do with yours. If you try to pack in too much, the net result could be stress. If however, you can prioritise what's really important and totally concentrate and focus upon it, you'll be able to achieve more than you might imagine. Improved order can follow. As your ruler switches into the most outgoing part of your situation, you can bring your creativity to bear in a much more meaningful manner. It is true that Mercury will join with Saturn in the second half of this week, but this is just a reminder to believe in yourself and take seriously any talents that you have. Romance too, is given a major boost with spectacular influences at play. A communicational issue which may have blighted things of late can be resolved by the middle of this week. This can also make you think very carefully about your emotional needs and the interactions you have with those closest to you. You are going to have a much greater need than usual to share your feelings, and if someone seems remote, it can be harder to take. 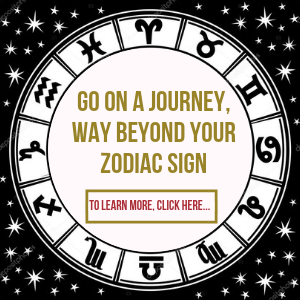 Each zodiac sign has a ruling planet, or in the case of your zodiac sign, two, and these combine splendidly this week with both the Sun and Venus to give you an awesome opportunity to express yourself with conviction, passion, but no little charm. 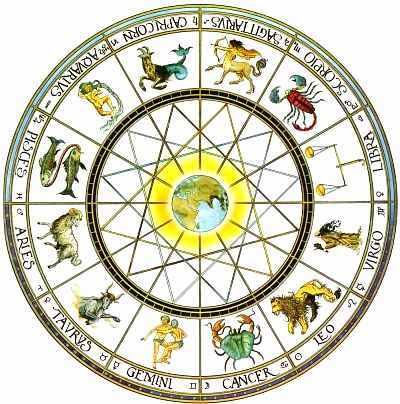 In fact, you have everything astrologically to make a fantastic impact on others. Even serious strands of your situation can start to shape up well. Mercury finally leaves your zodiac sign in the middle of this week, and just as he does, something that has seemed stuck can finally start to gain traction in the way you wanted at the start of December. Whilst the delay may have been frustrating, actually how things have evolved can mean that now you're much better placed to capitalise on opportunities, but just in a slightly different way. I've rarely seen such an exciting skyscape in your Solar Horoscope for you. True, Saturn, the planet of structure and your ruler, has returned back to your sign, and this week is going to be asking you to be very focused about any new ideas you have, as he combines with Mercury from mid-week. But your personality power is such that you can take a leading role in any group or long-term project you're involved with. The Quarter Moon at the start of this week could see you exceptionally sensitive. What can help you offset this is the more logical side of your nature. So, if you find anything challenging, step back from the emotion of it all and feed it through the filter of your detachment. This'll help you to get to where you need to be. Behind the scenes moves can work out wonderfully well for you. 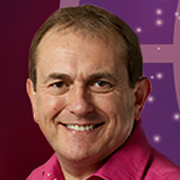 There is a very sociable and lively feel to your horoscope for so early in the year. With the Sun and Venus combining with Pluto earlier in the week, you can though, despite this, be focused on long-term aspirations and hopes. This could include some key transitions, and some friends or group associations may leave your world to make way for new ones, but it certainly won't be dull.